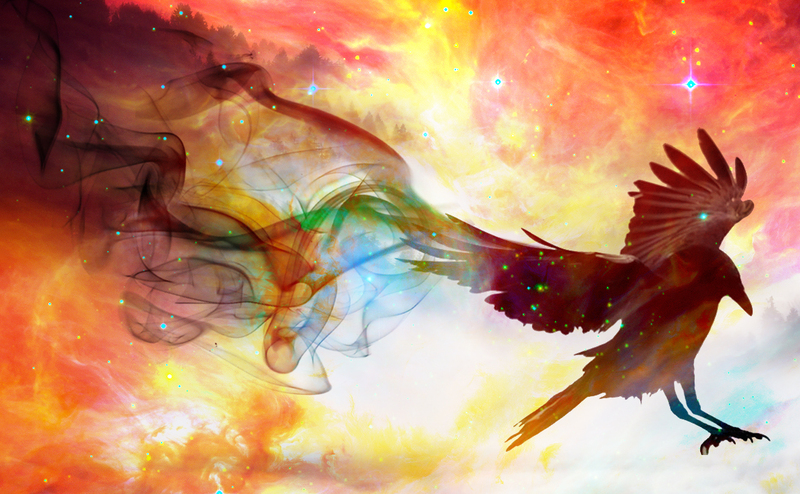 Image description: a silhouette of a raven in flight, magically vanishing into smoke, with a background of swirling nebulae and stars. Photo edit by Amanda Grace Shu. Last week I promised you all some magic, so here's a look at the magic system of the Kevarya Universe. What happens when a powerful metaphysical force, unbound by the laws of nature, develops a mind of its own? Find out in An Introduction to Magic. Magic, as a natural phenomenon, exists independent of its practitioners and has been known to originate from various “epicenters” across the world, usually in places of great religious significance to the local population. Examples include the Mountains of Old, where the First Ancestors of the Kevaryese were born; the Glass Gates in the Enheduanni Desert, sacred to the i-Hassam; and, on the Southern continent, the Jaguar Caves, where the Oczol train their xolitzo’l. Whether magic manifests itself in these epicenters due to their high concentration of belief, or whether humanity considers these places sacred because of their magical properties, magic and religion would seem to be bound to each other. Where one exists, so will the other. The question is simply which is the cause and which the effect. Magic is also by nature a chaotic force, breaking natural laws and transgressing physical and social barriers. Magic is the spirit of rebellion, drawn to those whose strongest desire is freedom and change. With this in mind, it is no wonder that magic users are often revolutionaries and other challengers of the status quo. This is most evident in shapeshifters, who often seek to change form in order to more freely express their identities or escape a situation they view as confinement, but all mages have something of the maverick about them. Even seers, seemingly passive observers of the inevitable future, are quite literally forward-thinking and take an active role in transforming the present into the revolutionary new future they have envisioned. This tendency toward innovation and insurrection is why mages are sometimes called the Unbound—not only do natural laws fail to restrict their abilities, but they will not be bound by authority or conservatism. When a magic user is born, magic is drawn from one of the epicenters and gathers around the person’s timeline, imbuing the ability to use magic in the person’s physical life force (which the Oczol call xol) and their force of will. Thus magic can be accessed by both physical and mental strength—those with particularly intense desires are capable of intense magic, as are those who are physically centered and aware of their own bodies. Sometimes, mages feel their mind and body as separate and distant from one another. Others view their physical form as an extension of their mind, or their mind as an extension of their physical form. Magical ability can manifest at a very young age, especially when the child is being raised in an environment that fosters spirituality and acceptance. Conversely, in a repressive or traditionalist environment, magic is more likely to manifest later in life, when the prospective mage learns to reject conformity. In moments of high emotion or physical danger, an untrained mage can unconsciously use magic; however, in order to consciously access their abilities, the mage must undergo some sort of training. This can be self-taught or learned from other mages, and is shaped by one’s belief system. For example, mages of many faiths access their power through prayer and meditation. The Oczol believe their magic is tied to specific physical movements taught to them by the Red Goddess and Jaguar God. The Kevaryese stress the importance of words in the creation of all things, and they share with the Yenoui and Ysekai the belief that the wisdom and skills of the Ancestors can be accessed by the remembrance of their histories. It remains to be seen what kind of magic, if any, will develop in secular Galara. Since the expulsion of all religious believers from their shores, the existence of magic has been denied and any interest in it discouraged. Given that magic has not only some degree of sentience but a distinctly chaotic, spiteful personality, it is certain that when this backfires, it will backfire spectacularly. There is a high correlation between magical ability and queerness (homosexuality, bisexuality, asexuality, gender non-conformity, transgender identity, and other identities outside of cisgender heterosexuality). This is because the author is a huge lesbian and thinks it would be cool. Seer. One whose spirit can travel into the future and bring back prophecies, either made from personal observation or given to them by future individuals, called guides, whose need to communicate with the past calls the seer to that moment in time. 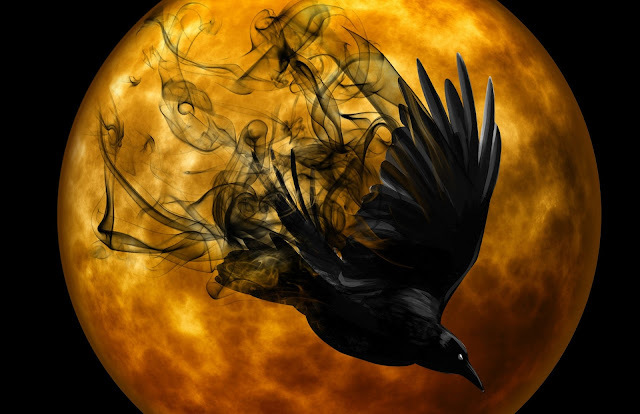 Seers can have long visions in deep trances, allowing them to explore a future environment in detail, as well as momentary “flashes” of the future brought on by a connection between a present situation and a future one. Shapeshifter. One who can change their body at will into any form that they can imagine in sufficient detail, interacting with the physical world in the same way as their form. While this usually limits them to forms they have seen, they can also combine features from different sources to create a unique whole. The shapeshifter’s extra mass is temporarily converted into raw magic if they shift into a form smaller than their original bodies, and they “borrow” mass from raw magic within them to shift into a bigger form. Xolitz’ol / Somatic Mage / Healer. Xolitz’ol is the Oczol term for a mage with the ability to manipulate people’s life force (xol), which controls their breath, heartbeat, movement, and other aspects of their physical being. On the Northern Continent, this is often simply thought of as the power to heal wounds, but the Oczol also train warrior-xolitz’ol who can weaken or take away an enemy’s xol. The Oczol also consider psychological health to be governed by the xol, and xolitz’ol can alleviate some physical symptoms of depression and anxiety. Illusionist / Mind Mage / Hidden Mage. One who can subtly alter others’ thoughts, beliefs, and even sensory perceptions, creating illusions that exist only in the mind of the beholder. It is difficult to know for certain how many of these mages there are, as their abilities allow them to convince others that their magic is weak or even nonexistent. The Ysekai Isles are believed to have the largest population of hidden mages, and this is said to be the reason the city of Yayoshi floats over the water, as well as the reason the Isles have never been invaded. Magic can also inhabit objects that serve as focal points of belief, such as sacred relics or ritual regalia. The Kevaryese crown, for example, is said to be imbued with magic, having been forged by lightning in the Mountains of Old, a known magical epicenter. The crown’s magic is believed to guide and counsel any worthy King who wears it—and call down lightning upon a King it deems unworthy to rule. The veracity of this claim is questionable, as there is no mention of the crown’s “guiding” influence in the extensive documentation of the reigns of past Kevaryese Kings, nor are there any recorded incidents of a usurper being smote by lightning. Perhaps the crown’s magic works in subtler ways, or perhaps it is a legend meant to justify the monarchy as magically ordained. A more typical example of a magical object is the chosen weapon of an Oczol warrior-xolitz’ol. The warrior imbues the weapon—usually a knife, spear, or bow and arrow—with a part of their own xol so that the weapon causes direct injury to their opponent’s life force. The xolitz’ol can also direct a defeated opponent’s xol into their weapon, increasing the amount of damage inflicted. However, if the opponent remains alive, the borrowed xol is released and returned to the opponent once the weapon has been used. Magic is a highly volatile force and has been known to turn against those who misuse it. What constitutes misuse is not clearly defined and depends upon the characteristics of the magic being exploited; however, most infractions involve the magic being forced to perform an act contrary to its own nature. According to legend, a would-be conqueror once tried to use magic to create a weapon so powerful it would force the rest of the world to be subservient to him. During his attempt to draw the magic from its epicenter into the weapon, the magic rebelled and entered the conqueror instead, taking control of his body and forcing him to be subservient to its will. It is of utmost importance for mages to remember that magic is not merely an ability, but an ally who must be treated with respect.